Computer users, whether they are a n00b with a troubled PC or an expert working on friend / client's computer, may need to know the computer's specifications most often to be able to resolve the issue. Even though you know your PC specification very well, it is difficult to know / remember the exact configuration with minute details of the entire system without a third party application. 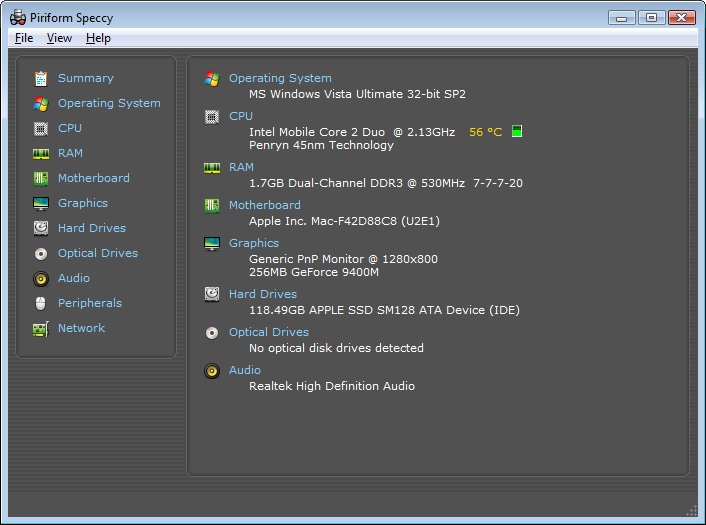 Speccy is a system information utility from Piriform. This is the same company that has provided us with other useful utilities like CCleaner, Recuva and Defraggler. It has a very user friendly interface, but that doesn't imply it's only meant for computer newbies. It has an option to display advanced information about the system, which collects and displays detailed information about the currently installed hardware. It shows the brand, model, version, driver, file, location, capacity, operating condition, and other data about your system's CPU, motherboard, RAM, graphics card, disk drives, optical drives, audio, peripherals, network, and operating system. Apart from that, Speccy can also display information regarding the performance that is offered by your Windows, even the latest versions. It can also be used to monitor system temperature of various components which support this feature. Speccy can also check for free memory slots in your computer and let you know whether you can add more memory to your system. The portable version of the software is a must-have for windows system administrators, which works fine just from a USB thumb drive etc. even without any installation. Speccy's simple and user friendly interface makes it stand out from other similar tools out there in the market. The left-hand navigation window lists Summary, which gives a handy system overview, as well as CPU, RAM, and so on. Clicking an option on the left pane calls up a more detailed view of the component's operating conditions and statistics. 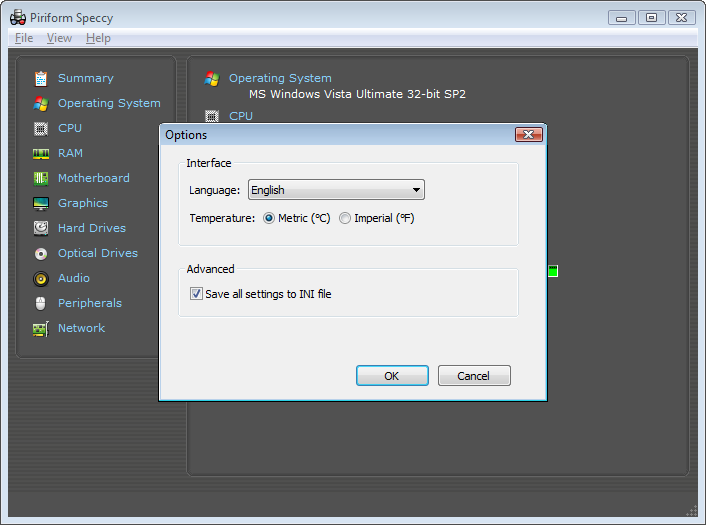 Speccy has options to change language and temperature display (Fahrenheit or Celsius). A very useful feature is its ability to save and reload system "Snapshots" as XML or text files, or even (optional) INI files. It also has an option of "Publish Snapshot" which sends all the system information to Piriform's server, so that the user can easily share with other people their system configuration details. Speccy v1.04.173 is approximately 2.5MBs in size and works on all versions of Windows (Windows 2000 and later). Piriform also offers a 64-bit build for 64-bit Windows users. You can download the latest version of Speccy from here or follow this link for the portable version. To read previous Download of the Day articles, check out this link.